Most companies have multiple systems that store various forms of their customer data. Generally business analysts or financial analysts will study this data to determine the habits of their customers. But what happens when your source systems don’t have a common key to link the customer data? You end up with only a partial view of your customers and department heads are making operating decisions based on incomplete and inaccurate customer data. The obvious solution? Find a way to link the data! While there are multiple ways to accomplish this task, a complete business intelligence solution will provide integrated data from all source systems, a rich data warehouse, and an easy to use graphical user interface to extract and analyze the data. 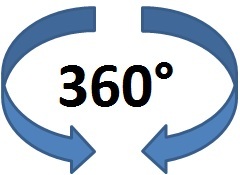 A 360 view of your customer means understanding what brings them to your business and what they do while they are there. OK, so you want this for your business. You realize you aren’t using all of the data you have and your marketing campaigns are hit-or-miss. Where do you start? First you have to determine who is going to build the business logic into a data warehouse that creates a common customer key across the platforms. Because most businesses are new to BI, they don’t realize that the BI vendor and the company that deals with manipulating your data are likely not the same company. There are several options here. If your IT department has the time, resources, and knowledge, they can be tasked with building the data warehouse. You can also contact a vendor that is independent from your BI vendor to build your data warehouse. The third option is to put all of your faith in your BI vendor and let them choose a data group that fits your data. Most BI vendors will have multiple partners and will probably be able to choose a data integration partner that is experienced in your field. If you prefer to let your BI vendor choose a data integration partner for you, then it is time to face the challenging task of searching for a BI vendor that fits your company’s needs. There are dozens of reputable vendors to choose from. I recommend contacting 3-4 different vendors and requesting a demo of the software. Most companies are more than happy to visit your property to analyze your specific business needs and show off their cool new BI tools. Warning to my fellow data nerds out there: These demos will probably be a show-and-tell of pretty user interfaces and fancy drag and drop reporting capabilities. These presentations are designed to win over the executives and sell the product. The interesting details about the data will come later. OK, so this is how you get started with your new business intelligence solution. It’s exciting, it’s fun, and it’s a lot of work. Stay with me and we’ll discuss finalizing a deal with your vendor, gathering business and functional requirements and who to include in the beginning stages of the project.